Icelandair has announced three new destinations for their summer season 2013, two in Europe and one in N-America. Starting May/June 2013, Icelandair will operate two flights per week to Zurich in Switzerland, St.Petersburg in Russia and Anchorage in Alaska USA. These flights will be operated through mid September 2013. On Saturday, August 18th, the annual Culture night was held in downtown Reykjavík. It has become an essential part of cultural life in Iceland with thousands of people strolling the streets of the city on this exciting and eventful night. Culture Night offers the chance to enjoy a variety of activities ranging from traditional shows and exhibitions to more unusual happenings, including the Reykjavik Marathon. An estimated crowd of 80.000 people visited the city center on this occasion, making it one of the most successful Culture nights in the event’s 17 year long history. The UK and Iceland signed a deal this week that could see geothermal power harnessed from Icelandic volcanoes supply the UK with energy. The Memorandum of Understanding (MoU) will also see the two nations work together to develop gas and oil resources and explore the possibility of electricity interconnection. 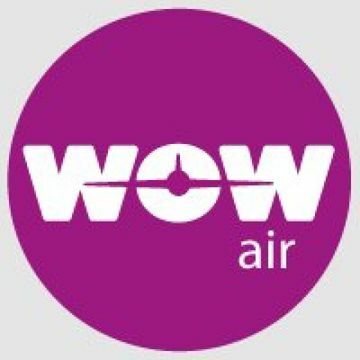 WOW Air is a brand-new, low-cost air carrier connecting Iceland to 12 destinations in Europe starting June 2012. The new carrier will offer 130,000 seats in Airbus A320 aircrafts in the first year. “We’d like to get to grips with twelve destinations to begin with,” said WOW’s main owner and CEO Skuli Mogensen.